Liverpool have been extremely flexible shape-wise this term. Jurgen Klopp has deployed both the 4-3-3 and the 4-2-3-1, depending on whether he wants to field two of his midfielders or three. Since the turn of the year, he’s predominantly used a double pivot; featuring two holders; then an offensive trio behind Mo Salah. But Times journalist Paul Joyce reckons Klopp could switch things up tonight and revert to three in the middle at the London Stadium. His predicted lineup features James Milner returning at right-back, with Jordan Henderson in midfield alongside Fabinho and Gini Wijnaldum. This formation has been criticised by fans in the past for lacking creativity, but it adds steel and will help us dominate possession – against a Manuel Pellegrini outfit who are unlikely to park the bus when at home. 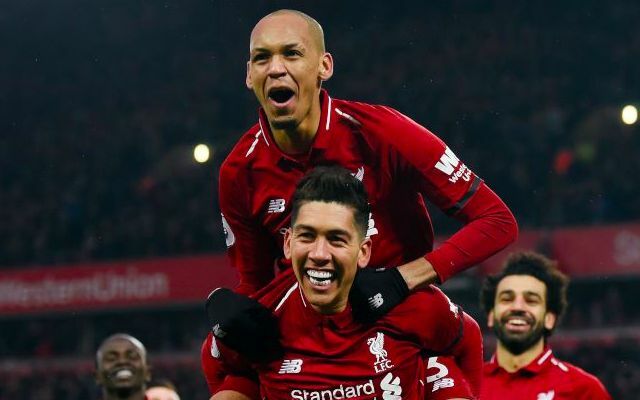 The key player for us is Fabinho. Against Leicester, we looked a much more dynamic side when he came off the bench. The Brazilian is not only a physical presence, but a creative one.